Avocados have also shown to improve an individual's cholesterol level. They may also reduce the risk of diabetes, stroke, and coronary artery disease. The avocado is a very attractive tree in regions of Mexico and Central America. The fruit is a green-skinned, pear-shaped berry that contains a lone seed. There is an enormous misconception that avocados are bad due to the high amount of fat that they contain. However, this notion is very far from the truth. An avocado has the potential to help people manage their weight and even lose weight. A study from Nutrition Journal has demonstrated that eating one-half of a fresh avocado with lunch may satisfy hunger in overweight individuals. Due to this, individuals may stay full for longer and prevent themselves from overeating. One of the reasons for this is the avocado’s high content of dietary fiber. The dietary fiber in avocados can help improve an individual’s digestive health by preventing constipation and improving the body’s capacity to expel potentially harmful biological wastes. The high fiber content can help individuals maintain a healthy blood sugar level, especially for those who have diabetes. The National Health and Nutrition Examination Survey proposes that eating avocados may be associated with a better quality diet, reduced intake of added sugars, and lower body weight and body mass index. Avocados have also shown to improve an individual's cholesterol level. There is a fallacy that fat and cholesterol are not healthy. However, this depends on the type and amount of fat and cholesterol that we put in our body. A study, published in the Archives of Medical Research, suggested that a diet with avocados could help improve the lipid (fat) profile in healthy people. Individuals with an avocado-enriched diet experienced a 22% decrease in bad cholesterol and triglyceride levels and an 11% increase in good cholesterol levels. Individuals need not be afraid of the fat content in avocados because they help protect the heart. It has been said that avocados may shrink the risk of diabetes, stroke, and coronary artery disease because avocados can help improve blood sugar levels and reduce the amount of bad cholesterol in the body. Metabolic syndrome is a combination of conditions that is diagnosed when the patient has three out of five of the following signs: Abdominal (central) obesity, elevated blood pressure, elevated fasting plasma glucose, high serum triglycerides, and low high-density cholesterol (“good cholesterol”) levels. Avocado consumption is associated with a reduced risk of metabolic syndrome. One of the key reasons why the heart and brain are protected from harmful diseases is because avocados supply a plentiful amount of folate. Folate decreases the levels of an amino acid, called homocysteine, in the blood, thereby protecting the heart. Elevated levels of homocysteine are dangerous to the brain. It is also a risk feature for a heart attack, stroke, or peripheral vascular disease. In addition, studies have shown that a scarce amount of dietary folate can increase homocysteine levels, which have been linked to brain diseases like Alzheimer’s disease and Parkinson’s disease. 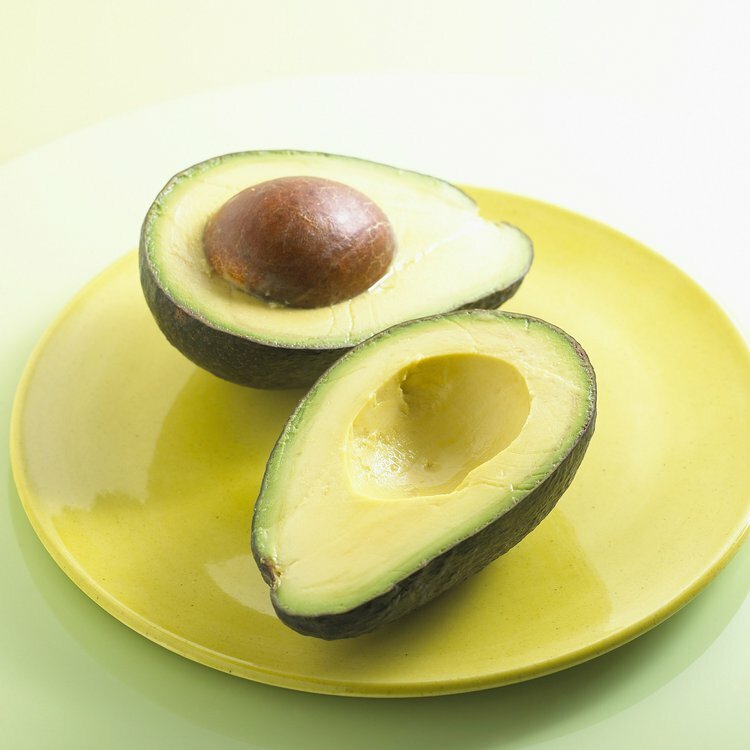 Lastly, avocados are also rich in magnesium, which can help the blood vessels relax and improve blood flow to the body. This mineral is also linked to improving the quality, duration, and tranquility of sleep. Avocados help normalize the metabolism in order to help reduce sleep disorders and the incidence of insomnia, which is the inability to fall or stay asleep. Avocados also help in balancing blood sugar levels and protecting the brain. With all of these research-backed avocado benefits and the nutrients in avocados, there is no doubt that avocados should incorporated into your daily diet. Wien, M., Haddad, E., Oda, K., & Sabaté, J. (2013). A randomized 3x3 crossover study to evaluate the effect of Hass avocado intake on post-ingestive satiety, glucose and insulin levels, and subsequent energy intake in overweight adults. Nutrition journal, 12(1), 155. López, L. R., Frati, M. A., Hernández, D. B., Cervantes, M. S., Hernández, L. M., Juárez, C., & Morán, L. S. (1995). Monounsaturated fatty acid (avocado) rich diet for mild hypercholesterolemia. Archives of medical research, 27(4), 519-523. Grant, W. C. (1960). Influence of avocados on serum cholesterol. Experimental Biology and Medicine, 104(1), 45-47. Davis, W., & Ziady, F. (1976). The Role of Magnesium in Sleep. In Montreal Symposium. Dreher, M. L., & Davenport, A. J. (2013). Hass avocado composition and potential health effects. Critical reviews in food science and nutrition, 53(7), 738-750. Fulgoni, Victor L., Mark Dreher, and Adrienne J. Davenport. "Avocado consumption is associated with better diet quality and nutrient intake, and lower metabolic syndrome risk in US adults: results from the National Health and Nutrition Examination Survey (NHANES) 2001–2008." Nutrition journal12.1 (2013): 1. Lu, Q. Y., Zhang, Y., Wang, Y., Wang, D., Lee, R. P., Gao, K., ... & Heber, D. (2009). California Hass avocado: profiling of carotenoids, tocopherol, fatty acid, and fat content during maturation and from different growing areas.Journal of agricultural and food chemistry, 57(21), 10408-10413. Jenkins, D. J., Kendall, C. W., Augustin, L. S., Franceschi, S., Hamidi, M., Marchie, A., ... & Axelsen, M. (2002). Glycemic index: overview of implications in health and disease. The American journal of clinical nutrition,76(1), 266S-273S. Ding, H., Chin, Y. W., Kinghorn, A. D., & D’Ambrosio, S. M. (2007, October). Chemopreventive characteristics of avocado fruit. In Seminars in cancer biology (Vol. 17, No. 5, pp. 386-394). Academic Press.